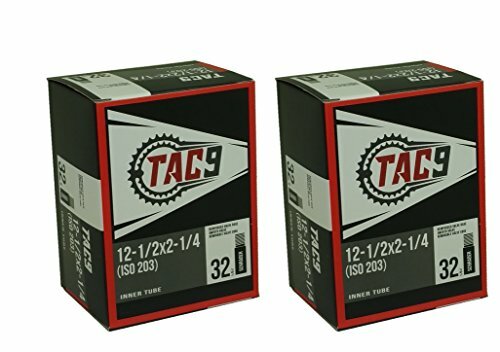 Tube, 12"-1/2 x 2-1/4" 32mm Schrader Valve - TAC 9 Brand. Kids, Child, Stroller, Scooter or Youth Bike. 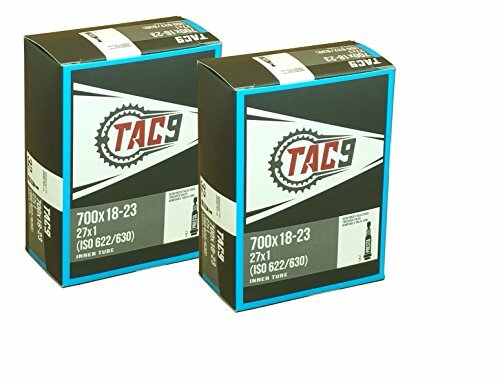 TAC 9 Tube, 12"-1/2 x 2-1/4" 32mm SCHRADER Valve. BMX, Kids, Child or Youth Bike. Any bike with same tire dimensions. 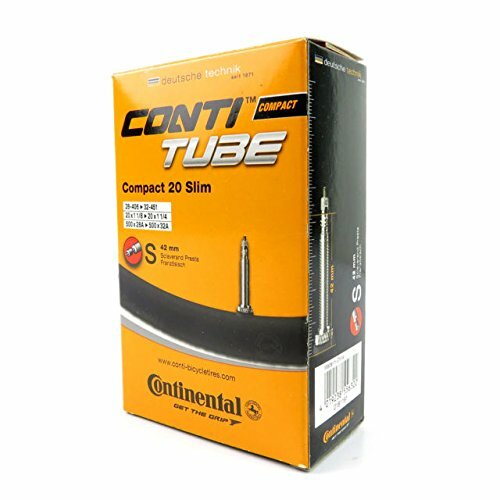 It's imperative you maintain proper air pressure with this thicker and heavier tube. See tire manufacturers minimum and maximum pressures on the side of the tire. 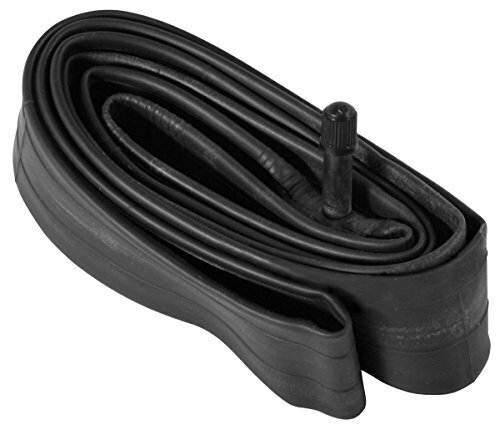 This tube is a replacement inner tube for any bicycle tire with the same tire dimensions. Be sure to verify the valve type and length. Each tube is quality control inspected at the factory. Tube , 12-1/2" x 2-1/4"
Select 1 Pack or Save with our 2 Pack Special! 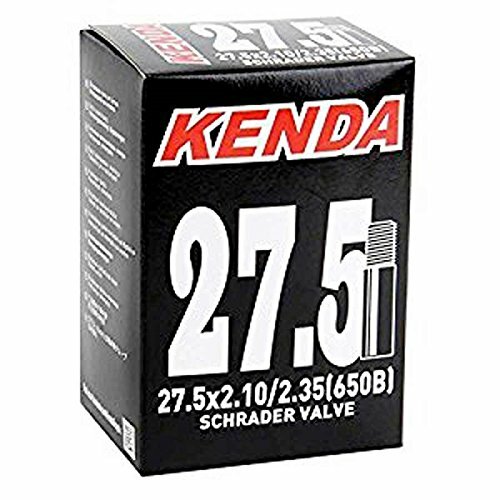 Kenda, tube, Schrader, 32mm, 16''x1.75-2.125. .87mm wall thickness molded tubes for higher quality. Kenda, tube, Schrader. 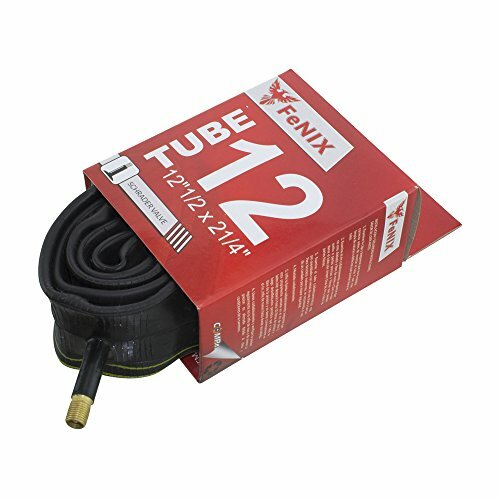 Tube, 12" 1/2 x 2 1/4"" 32mm SCHRADER Valve. 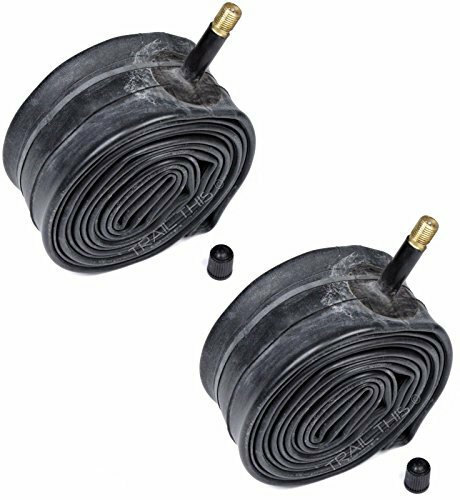 Replacement bicycle bike inner tube for mountain, cruiser or any bicycle tire with the same tire dimensions. Be sure to verify the valve type and length also. PREVENTS FLATS - Protects tubes against punctures from glass, thorns, nails and other road and trail debris. 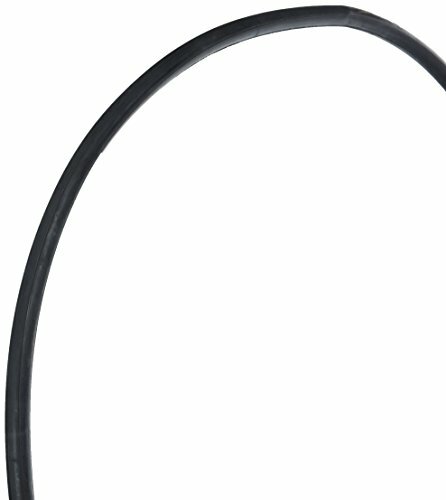 SAVE MONEY - Spend far less on tubes over the lifespan of your bike. QUALITY - Made from puncture resistant TPU. 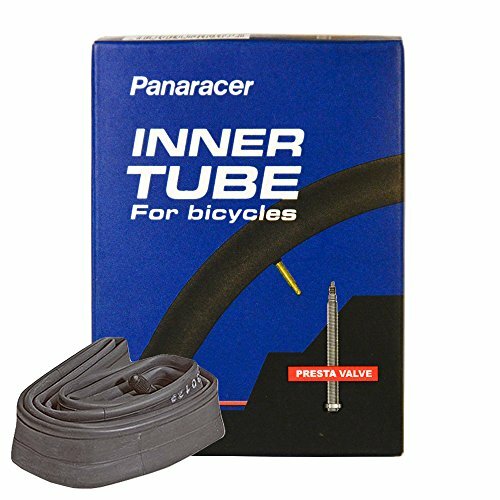 Thicker center for greater puncture resistance with tapered edges and rounded ends to prevent the liner from puncturing the tube. SIZES FOR MOST BIKES - 12-16, 18-20, 24-26, 27.5-29 and 700c. Twelve through 29 inch tire liners are 40mm wide while the 700c liner is 25mm wide. 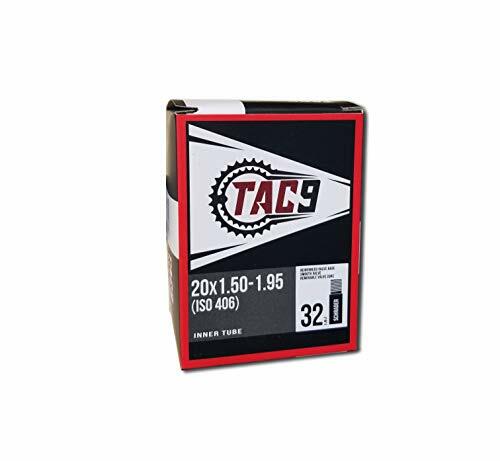 TAC-9 Bicycle Inner Tubes are manufactured with high quality butyl rubber. Our tubes are specifically engineered with a reinforced valve stem to prevent tearing or breaking. Each tube is quality control inspected at the factory. Please follow inflation instructions when airing a tire from a complete flat. MORE DURABLE: high-quality butyl rubber compound, Better air tightness and a longer lasting tube. The nylon plastic tire levers are different from the metal one, they prevent excessive force, damage Alloy rims.high hardness, durable and very effective. These tire levers suitable for Most of Bicycles Wheels Common Bicycle, Like Mountain Wheels, Road wheels, Folding wheel groups and so on. 1.Please kindly confirm that your bike tire is 26inch before you buy, width between 1.75-1.95 tire. 2.Before changing the tube, please check whether have some stones or sharp things that may broke the tube that stay in your tire. 3.Remember to always add a little air (to give the tube form) to the new inner tube before installing. This will prevent it from bunching up and/or causing a pinch flat or possibly blowing the tire off the rim (when you immediately and fully inflate) which ultimately will pop the tube. 4.Never over inflate past the recommended tyre pressure. 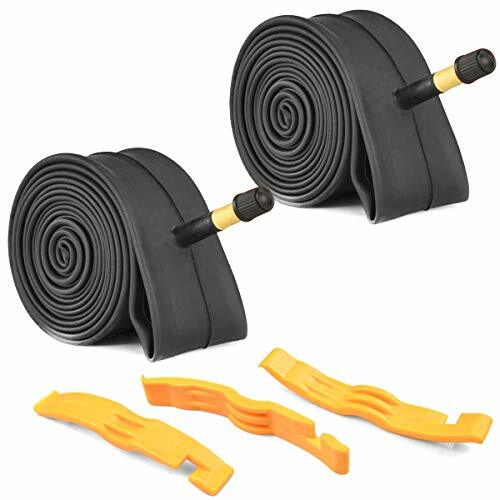 Package Includes: 2 Pack Bike Tube & 3 Tire Levers. 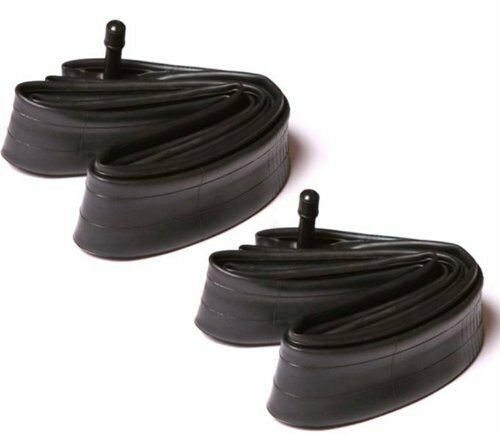 EASY INSTALLATION: The Tire Levers can let you easily get your tube out from the tire when changing the tube. The nylon plastic tire levers are high hardness, durable and very effective. suitable for Most of Bicycles Wheels. If for some reason, you are not 100% satisfied with your purchase, you may return the products for a full refund. 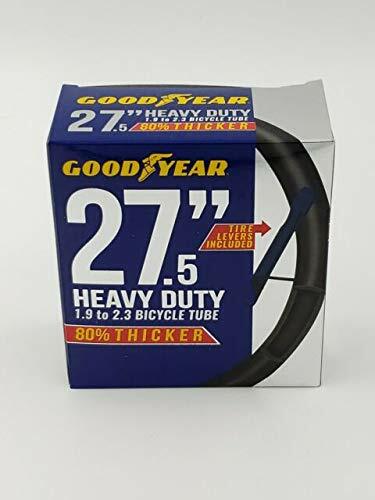 Goodyear Heavy Duty 27.5" 1.9 to 2.3 Bicycle Tube 80% Thicker! Tire Levers Included. 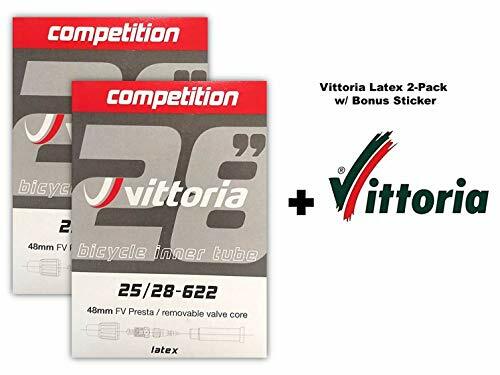 For use with Schrader Valve. NEW IN BOX.